Hello lovely people!! Today I am really excited to show you some really creative and Easy Lip Art looks you can create at home! Makeup is something I am really fond of and in that too lipstick! I am voracious about lipsticks ;D. I experiment with lipsticks a lot! Different shades, textures and brands! I don’t hesitate in buying a local lipstick, once I like the colour. And so, I started creating some Lip Art looks, after getting inspiration from Instagram. So, today, I am going to show you how to make creative easy lip art looks step by step at home! Note: Do consider the conditions of your lips before applying any lipstick. If you have sensitive lips or any type of skin allergies, then avoid doing any experiments with makeup products. Also, I recommend preparing your lips before any Lipstick Application or doing Lip Art. How to prepare lips for lipstick or doing Lip Art? If you feel, you have lots of dead skin cells over your lips, Exfoliate Your Lips with a Good Lip Scrub. If You don’t have a Lip scrub, You can make your own Lip scrub at Home while mixing Brown Sugar and Honey. Apply the mix and rub it for 30 Seconds. Apply your selected vibrant shade on your lips on inner portion (away from border of lips). Now, just in the center of your lips, draw a vertical line (from top to bottom) with kajal, connecting both the lips. Then, apply the lipsticks in such a way that between 2 dark colours, 1 vibrant shade is present (use the brush or toothpick for sharp results). Take care while applying the dark shade beside lighter one, otherwise it would get mixed and merged. 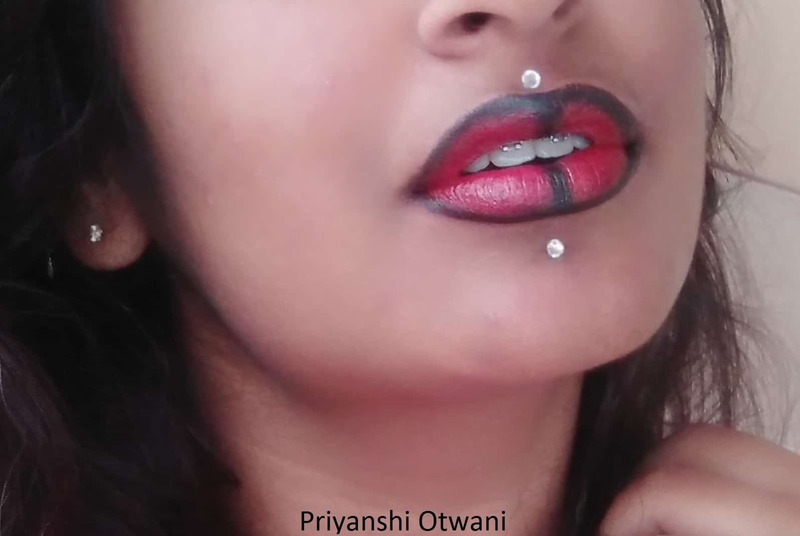 Line your borders with kajal or black lipstick. Now, dip your old tooth brush in paint and with the help of your thumb, spray it on your lips (keep your eyes and mouth closed). Lastly, clean the outer area with wet tissue paper. And apply a bit of glitter on lips. Your lips sparkle like galaxy! Note: If you have any skin issues with watercolours or body paint, avoid using them. Just use some glitter. Aren’t these ideas catchy and easy? 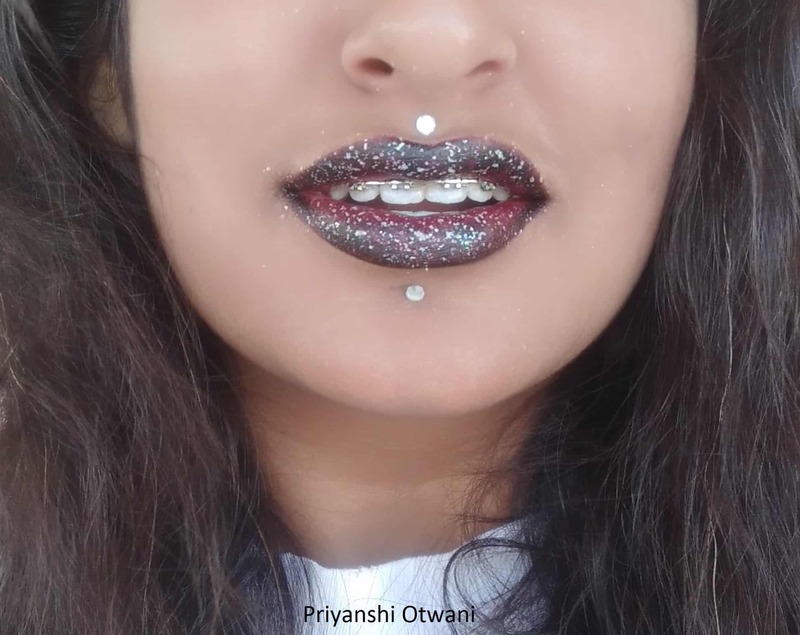 Lipsticks are always centre of attraction, to be much more extra this time, try these new and easy lip art designs! I hope you people loved this creative post! 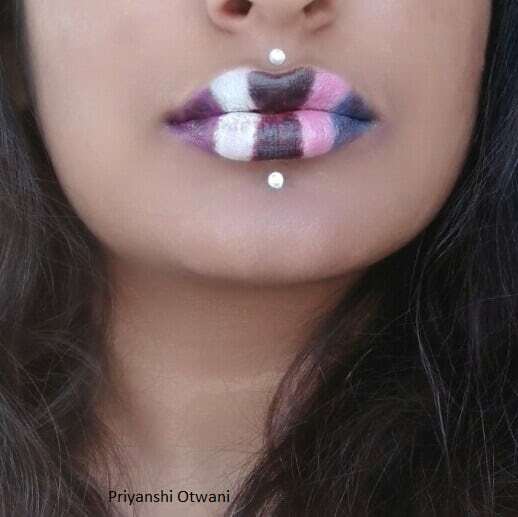 Do give us your reviews about this lip art tutorial! We’ll be back with more cool makeup posts soon, till then, keep pouting! !